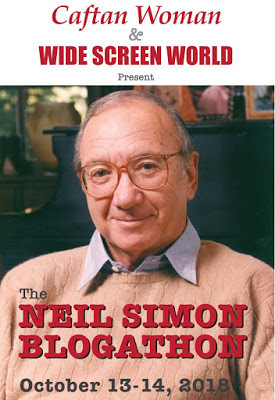 This is the first of 2 posts dedicated to The Neil Simon Blogathon being held over at Caftan Woman and Wide Screen World. Tnx Rich and Paddy for letting me take part! Brief Synopsis – While on his honeymoon in Miami, a man meets and falls in love with another woman and must try and find a way to get out of his marriage in order to be with her. My Take on it – This is a film that I have been meaning to watch for years and for some reason kept pushing it off. So when I saw that Rich and Paddy were doing this blogathon, I knew that this would be one of my entrees. The premise is a great one that manages to work on numerous levels despite the feeling that there are moral issues constantly being crossed throughout. We can easily understand and believe that the feelings felt by the main character played by Charles Grodin are realistic and theoretically could happen to anyone in his kind of situation. It’s not easy getting over the fact that the premise deals with some appalling ideas yet the story is constructed in a way that it flows really well and the dialogue is sharp and witty which makes the viewer care less about the morality of it all and instead focus on rooting for Grodin to get what he thinks he wants out of life. Besides Grodin, the rest of the cast is great and they all come across as seeming quite realistic in their roles which makes them all relatable to most viewers in some way or another. Albert, Berlin and obviously Cybil Shepard all stand out here in supporting roles. Bottom Line – Great premise that works on numerous levels. 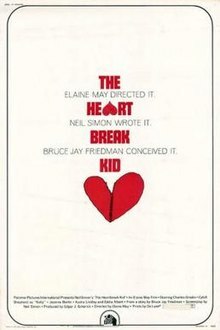 Grodin is superb in the leading role and makes us truly believe his character’s dilemma throughout. The idea presented is pretty appalling yet the way that the story flows along with the great dialogue makes the viewer care less and still root for the idea to find a conceivable way to succeed. The rest of the cast is also great because they all feel like very realistic characters going through genuine feelings that most people can relate to at some point or another. Recommended! Insightful review of a movie that works beautifully in spite of the questionable ethics involved. This movie was a riot. And the remake was a train wreck.